A short compilation of some the people we’ve filmed with and the sort of stories, experiences, issues and concerns we’ve covered. The film includes people in care, those with learning disabilities living independently, delivering healthcare and excerpts from our films on dementia. It also includes contributions from young people we’ve worked with who have experience of being homeless or being a teenage parent with some of the footage being shot by themselves using FLIP cameras and mobile phones. We’d like to thank them all for their contributions and for allowing cameras to film part of their life and tell their story. REEL AGEING/Media50+ is a new initiative from Media19 to capture the insight, ideas and experiences of older people; their lives, their concerns, their hopes, their challenges, their ambitions and achievements. The project will work with older people to use digital media to capture what they want to say, what they think about their lives, what they want to change and what their message is for us all to learn from: How do I want to live? What do I want to happen? How do I want to be? What can make a difference? It will also incorporate an ongoing series of hints and tips from older people about facing the challenges of older age and living well. We’re currently talking to possible partners to develop the initiative further, support fundraising and develop projects. Filmed in Sunderland between 1988 after the last ship launch and 1993 when the town became a city, this 4 part documentary captures the upheaval felt by the town following the final closure of its shipyards. It follows many of the plans, ideas and schemes to regenerate the economy of the the town (as it was then) and launch it into the future as the advanced manufacturing centre of the north. It’s now coming up to thirty years since that last ship built in Sunderland slipped into the river Wear on a dark December evening in 1988 and we’ve decided to put the film online for the first time. Featuring archive of how the river was, the demolition of the shipyard cranes and the creation of new enterprise parks along the river, the film also follows three Sunderland families, each with a teenager studying for GCSE exams and with their own hopes and aspirations for the future. Can the vision for Sunderland help them realise their own ambitions? Street parties, FA Cup finals and house parties all reveal a little of Sunderland’s notorious culture and in yet another declaration of a bright future, a young Michael Portillo makes an appearance (and not a train to be seen). Shown here in four parts it captures the changes in Sunderland that, like for so many other similar post industrial towns and cities, seems to have been going on forever. There’s always talk of regeneration, always talk of what the city will become, meanwhile people try to get on with their lives and find their place amidst the seemingly constant yet necessary upheaval around them. The film ends in 1993 with yet another major industry closure and the final piece in the demolition jigsaw. A series of resources produced for Stoke on Trent Public Health promoting good sexual health for people over 50. The work and ideas were developed though a series of workshops with members of the public who are over 50 and a group of health professionals. As life expectancy increases we are more likely to become widowed, separated or divorced and so it has become more common for us to start new relationships. Whatever your age it is important not to take risks with your sexual health. The film called ‘Using the Mental Capacity Act’ features a number of people representing different stories and perspectives on how the act can work for them and how it can be useful to us all, now or in the future. It sets out the five principles of the act, making advance decisions and also considers future planning such as lasting powers of attorney. At MEDIA19 we’re good at making films that tell stories about real people; their lives, their experiences, their challenges, hopes, dreams and aspirations. OUR FILMS OFTEN FOCUS ON AND FEATURE ORDINARY PEOPLE TALKING ABOUT THEIR OWN EXPERIENCES. WE’VE PRODUCED WORK ABOUT MANY DIFFERENT SOCIAL ISSUES; HEALTH CARE, EDUCATION, HOMELESSNESS, TEENAGE PREGNANCY, DEMENTIA AND SOCIAL CARE. We produce films for charities and public sector organisations across the UK about their services, aims and objectives and the stories of the people they work with. Our 20 years plus track record of producing work regionally, nationally and internationally has involved working with many different clients including the NHS, Channel 4, BBC, NICE, Social Care Institute for Excellence, Arts Council England, Leisurewatch, Centrepoint, The National Portrait Gallery, London, and the Scottish Care Inspectorate. We also develop engagement projects using digital video and photography to involve people and communities to connect them with decision making and developing ideas for change. We produce video to tight budgets and tight deadlines with a creative approach and experience of working and filming with people from many different and diverse backgrounds; from young parents to patients and artists to accountants. If you need a video to tell your story, engage with the public, develop new clients, promote a service or deliver training then get in touch. We can respond with a budget and proposal for your production or project needs. Short film about the Community Independence Service in Hammersmith and Fulham enabling people to receive medical treatment and support at home whenever possible, rather than go into hospital unnecessarily. Our four latest films for SCIE about ensuring that people retain their independence and dignity through the care and support they receive. Different stories, different people and different experiences. How we can all make life better for people who use services and want to live as independent a life as possible. Practical examples, experiences of carers and care staff, good practice and great people. 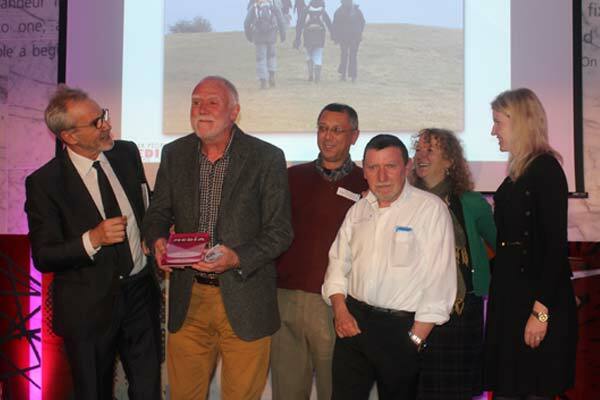 November saw our Social Care TV film “Getting to know the person with dementia” win its category (Best factual new media) at the Older People Media Awards 2013 (Twitter hashtag #opma2013). 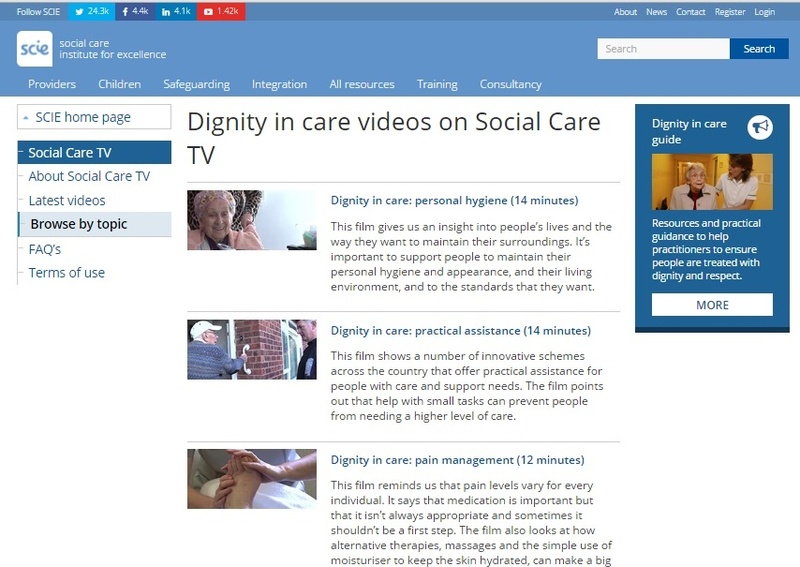 Produced by Media19 for the Social Care Institute for Excellence (SCIE), the entry was up against strong competition. Gavin and Stacey/ Eastenders star Larry Lamb handed the award to three of the film’s contributors; Ian, Harry and Roy; along with Lynda Hughes, Forget Me Not Centre and Swindon Later Life Therapy Team Manager. They were delighted with the victory and SCIE’s Chair Lord Michael Bichard has sent his congratulations to the contributors. Other categories saw awards and nominations go to high-profile media outlets such as Panorama, the Guardian and the Times. An award winning short film commissioned by the Social Care Institute for Excellence (SCIE) that tells the stories and experiences of six people from the Forget-me-Not group in Swindon who have all been diagnosed with Dementia; Ian, Stan, Jude, Roy, Harry and Derek. The film is revealing, personal, emotional and humorous allowing each of them to tell their side of the story; how they felt when diagnosed, the impacts, how they have coped, being positive and building on the things they can do, rather than the things they can’t. They also talk about the importance of getting to know them as a person, rather than as a person with dementia; who they are and what they have done in their lives and, significantly, what they are doing now. The film is a revealing, engaging and insightful glimpse into their personal character and the life they lead.